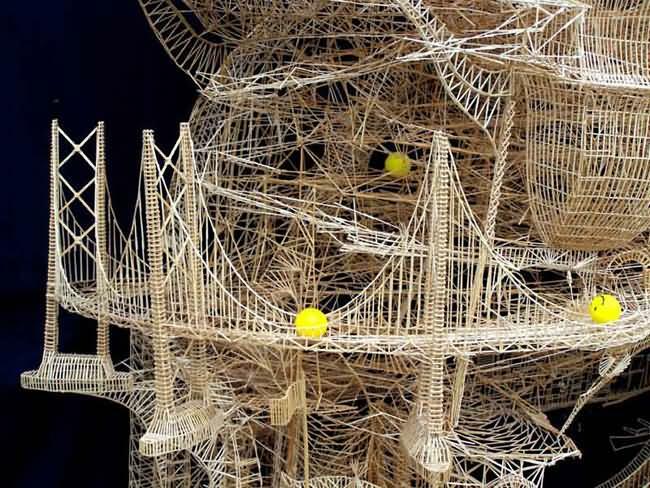 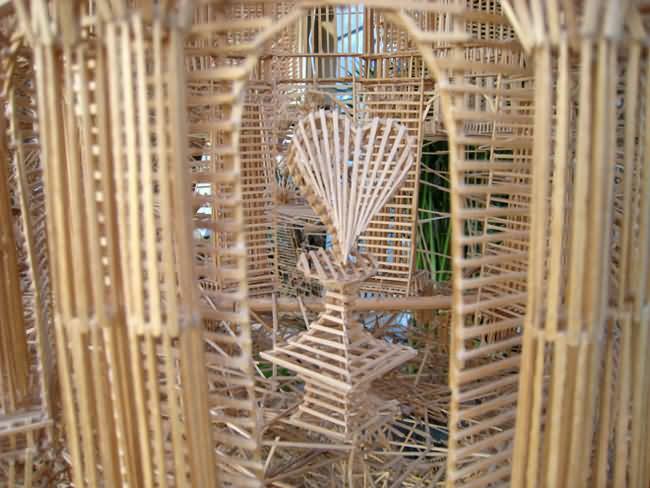 In 1975, Scott Weaver decided to replicate the Golden Gate Bridge with toothpicks and Elmer's glue. 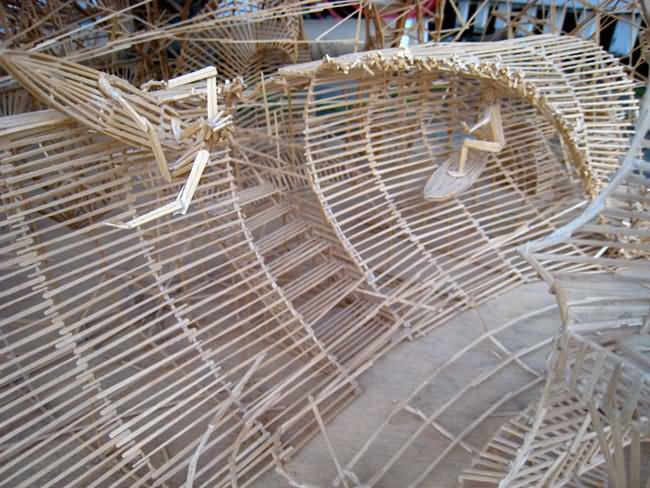 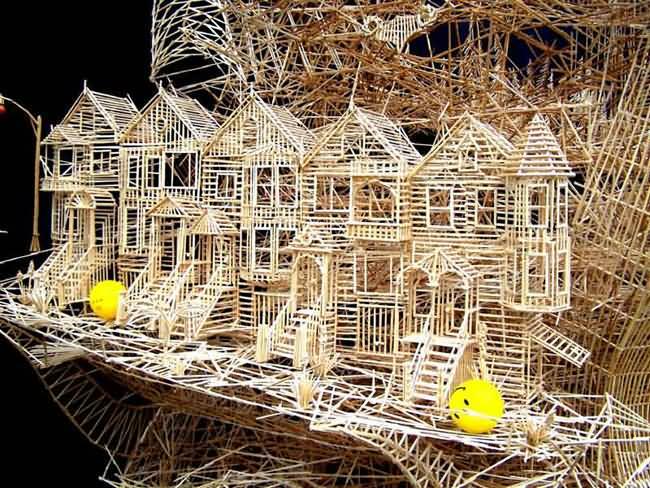 When the 17-year-old finished that structure, he just kept going. 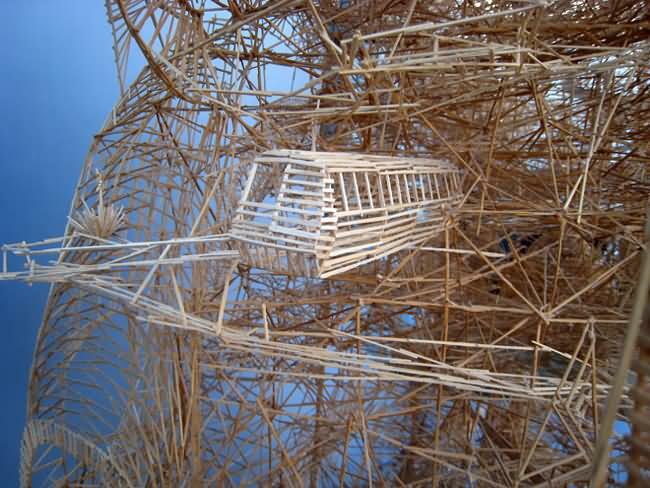 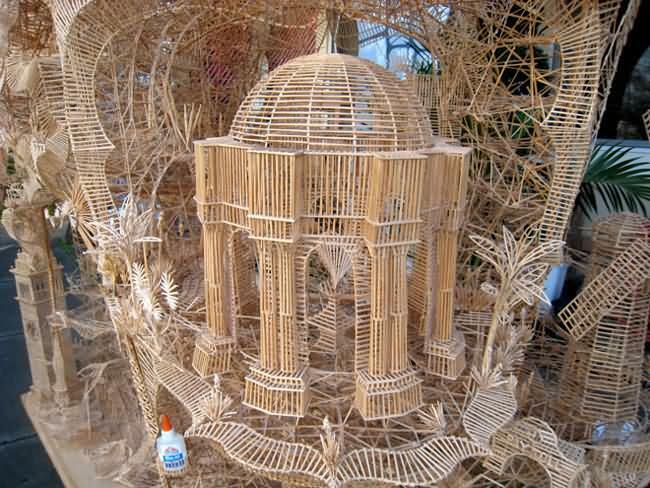 Now, after 35 years this structure is 9 tall model of San Francisco with about 100,000 toothpicks. 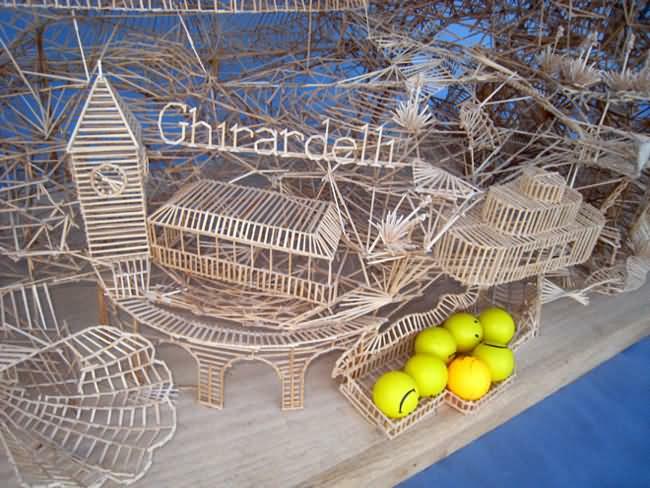 The installation "Rolling Through the Bay" features a ball that rolls through the toothpick sculpture, touring famous San Francisco locations. 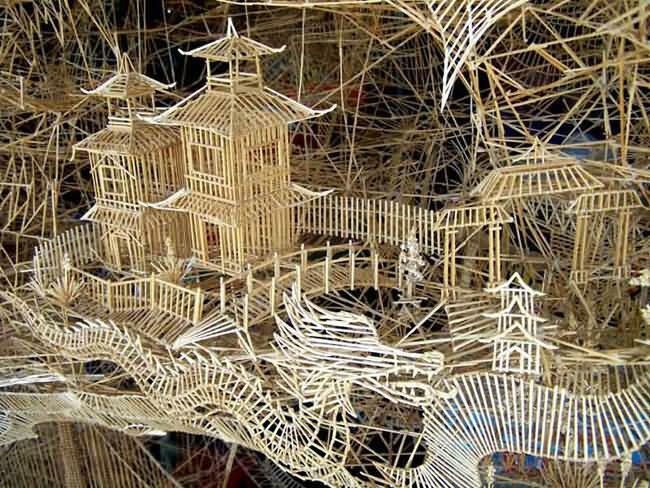 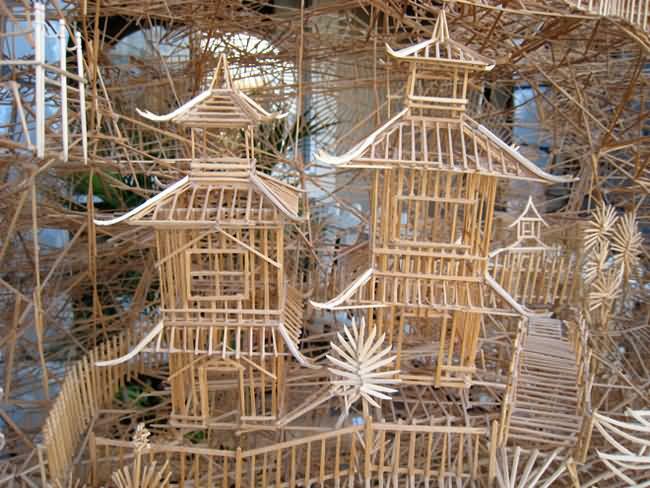 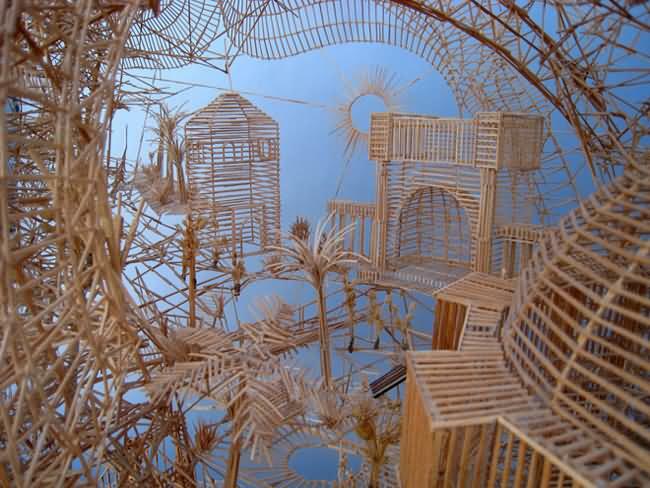 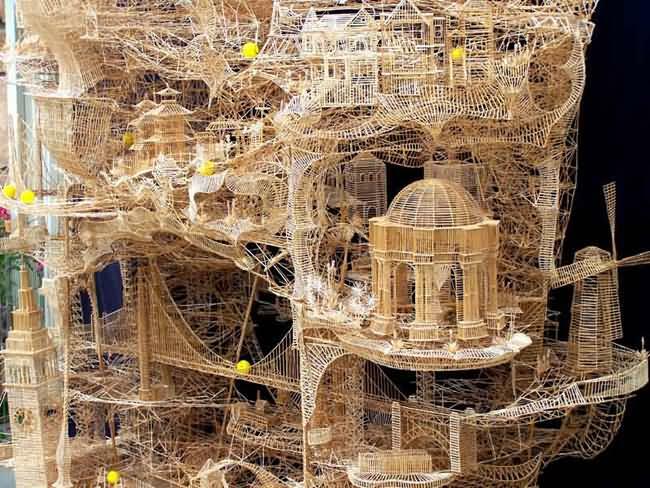 Ripley's Believe It or Not offered Weaver $40,000 for his 100,000-toothpick town, but he turned it down without hesitation. 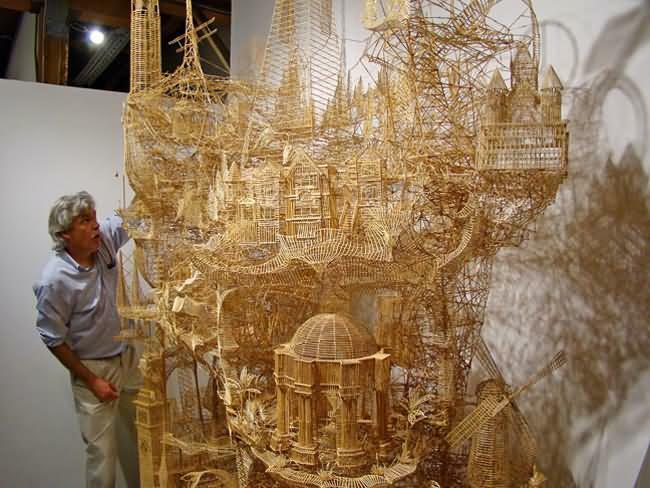 "Other than my wife and my son, this is the most important thing in my life," he says. 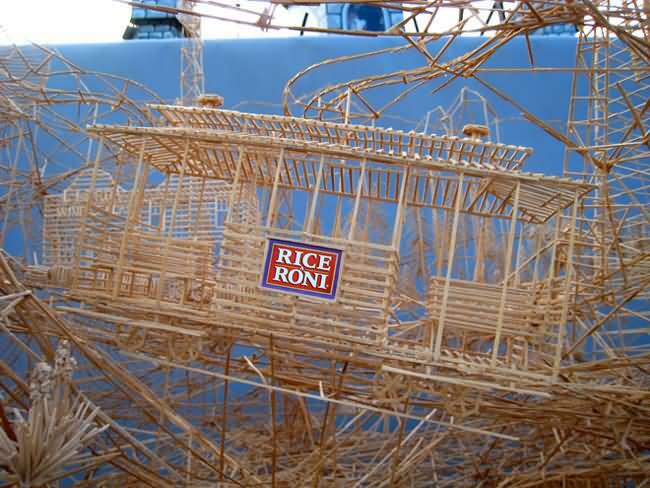 "I just regret that my mother wasn't able to see it while she was alive."